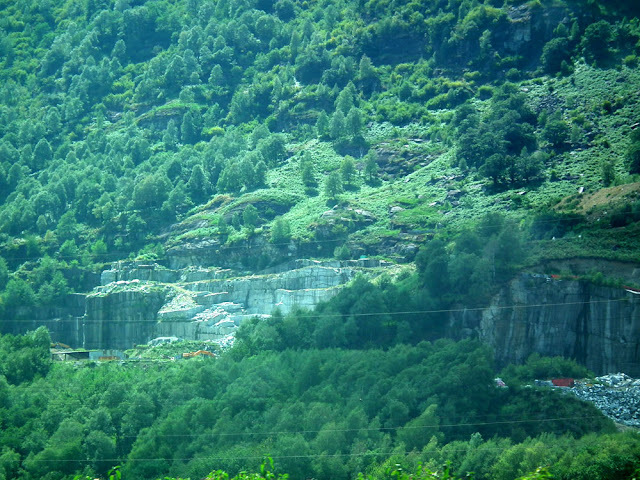 From the motorway near Bellinzona the Graniti Maurini granite quarry is very visible. The Maurini family own four quarries in the area and are extracting granite (gneiss) from quarries opened in the last quarter of the 19th century, to supply the building of the Swiss trans-alpine Gotthard railway line. Branches of the family also sell jewellery and sculptures made from granite and engage in property development. 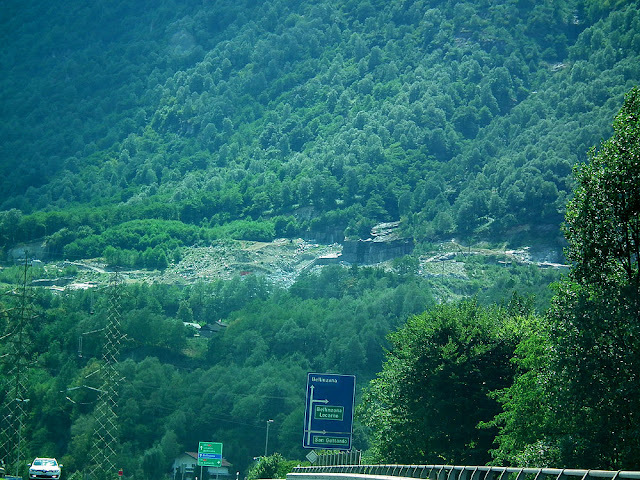 Nearly a quarter of the population of Lodrino, the nearest village, work in quarrying. That's 53 people, many of whom are Portuguese in origin. The quarrying industry is in decline, after a peak during 1939 and the construction of the Lona Line (a 10 km line of anti-tank forts).